I had such a great vacation over the holidays spending some much-needed quality time with my family in New Mexico. The holidays, for me, are all about being around loved ones and taking the time to reconnect with those that I love the most, but I would be lying to you if I said I didn’t also receive some really awesome (and thoughtful) Christmas gifts. 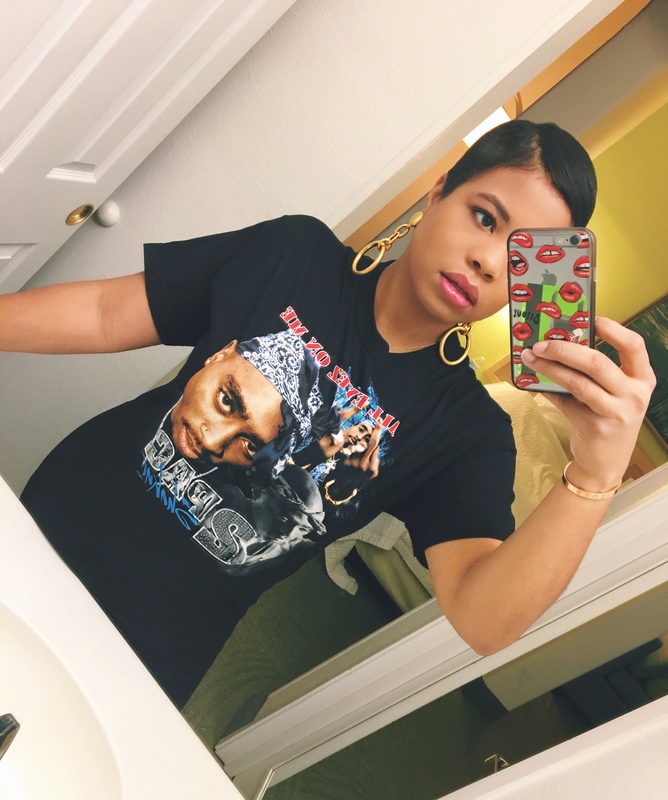 My auntie gave me this amazing 2pac shirt. 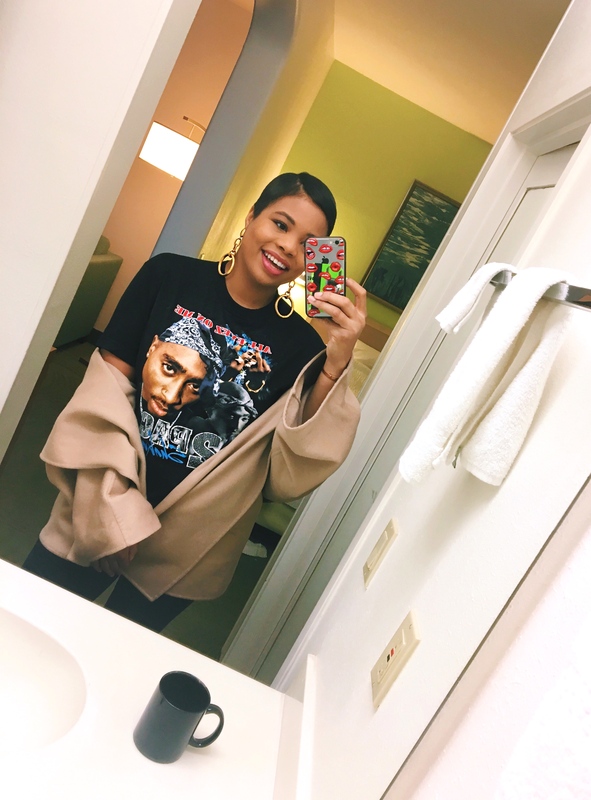 If you know me, you know how much I love 2pac and how I’m always repping my home, California. 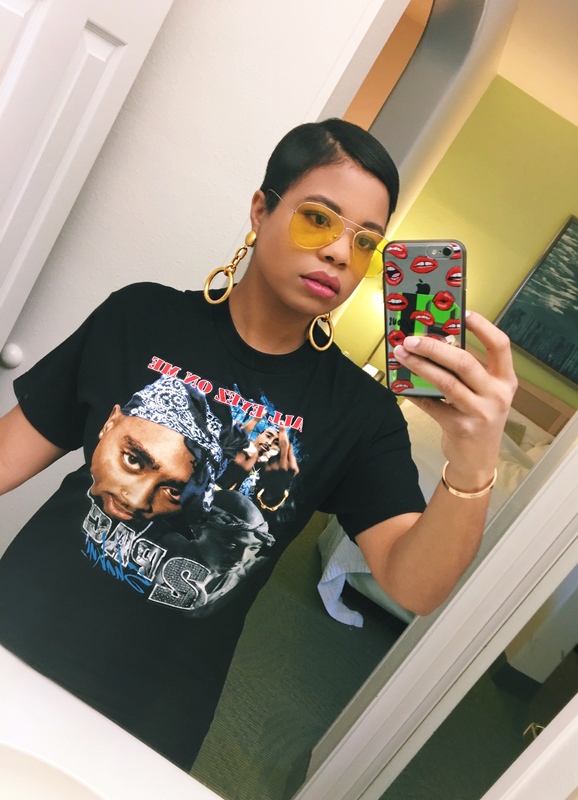 I adore this 2pac tee so much that I couldn’t even wait a day to start wearing it around the house. California love! My wonderful Mom knows how much I have been raving over dramatic, oversized gold jewelry, so she got me these incredible statement earrings from Marni. I love big earrings (especially with my new short hair cut) and I cannot wait to wear these with so many looks in 2017. Lastly, as a little treat to myself this holiday, I bought these cat-eye sunglasses from Adam Selman x Le Specs. I have been dying to buy these sunglasses for almost a year now and I finally bit the bullet. I could not be happier with my purchase. I love their sleek shape and the ultra-cool vibe they exude. I hope you all had a relaxing and enjoyable holiday and I want to wish everyone a very happy new year. Thank you for your continued support and love! Cheers to 2017! !